After a short delay in publication, the UK based Official Nintendo Magazine has weighed in on both editions of Sonic Colors. While the Wii version didn’t score quite as high as it did with ONM’s American counterparts, the game received a very respectable 86% by the publication. Though not enough to earn the magazine’s Gold Award, writer Chris Scullion had plenty of nice things to say about the game, including the change in Sonic’s voice to Roger Craig Smith, which he claims afford a “less cringeworthy persona.” Scullion also assesses the Wisps as a “gimmick” that have various strengths and weaknesses, though none are a deal breaker. There are some noticeable flaws in-game. The review cites that some of the 60+ stages are much weaker than others, and that on the whole they stop just short and “lack the character of the real-world locations in (Sonic) Unleashed,” Scullion says. Multiplayer also misses the mark in his assessment. Weak spots in the DS version include the game’s special stages and boss battles, according to Bramble. 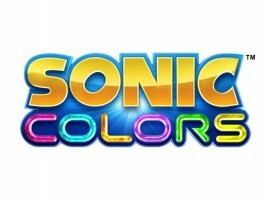 Scans have been made available of both reviews, as well as a supplementary interview with Takashi Iizuka, in which he reiterates the inspiration of daytime Sonic Unleashed applied to Colors. The relevant scans are below. Thanks to darkclarkson for the initial score tip, and Speed the Hedgehog for providing links to scans. If you have news to share, be sure to share it with us by clicking News Tips at the top of every page. Sonic Corner to have MIDI Contest?